JET-ski zones are likely to be in place on several Mornington Beaches next summer. The zones will confine jet skis to strict speed limits within a narrow corridor until they are 500 metres offshore. This tougher line on the noisy water craft follows discussions between Mornington Peninsula Shire, Maritime Safety Victoria, Water Police and the Department of Environment, Land, Water and Planning. Shire local laws officers are being trained to enforce the tougher approach for the coming summer season after the inappropriate use of jet skis inflamed tensions at Safety Beach and especially Rye over summer. 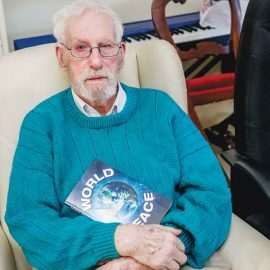 The mayor Cr David Gill said there was a “resoundingly positive reception to the solutions, which the attending community supported wholeheartedly”. 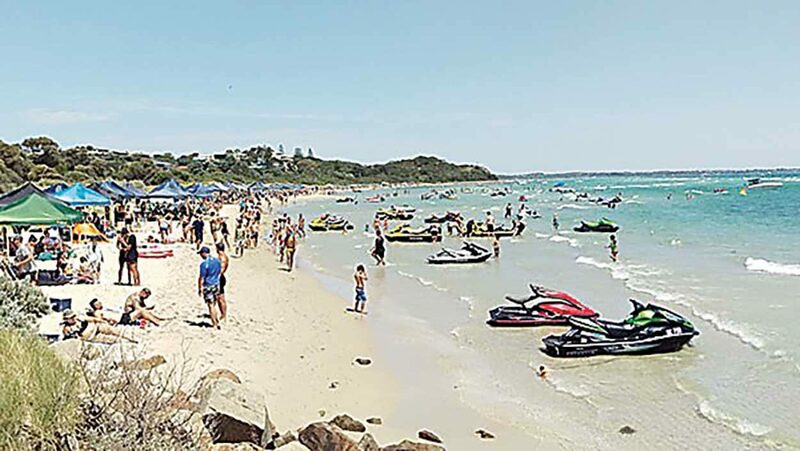 “The shire has listened to the community and recognised the significant concern of many beachgoers about the increased presence of jet skis and the dangerous use of personal water craft,” Cr Gill said. Cr Gill said there was agreement that: Jet skis should be treated differently to other watercraft, such as paddle boards, and that the “significant increase and inappropriate use” of jet skis meant enforcement would pose a “significant resource challenge”. The meetings were told that jet-ski registrations had jumped 122 per cent to 252,000 in the 10 years to 30 June 2018. There has been a 65 per cent jump in accidents over the same time, with 94 infringements being issued for dangerous use of jet skis over the 2017-18 summer.